Serena is made from a fuzzy white material with a pale pink belly. She is covered in purple and pink spots and has purple ears and a shiny material inside them. 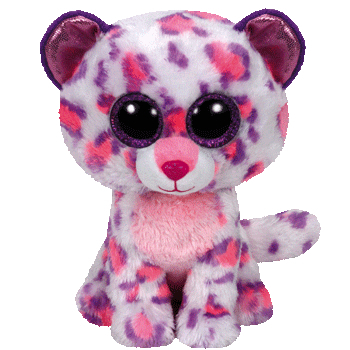 She has large sparkly purple and black button eyes and a glittery pink button nose with pink stitching for her mouth. I have pink eyes and spots of pink. Serena was released in November 2015. She was exclusive to Justice stores in the USA.